Writing in a flowing style, Montel Williams clearly and succinctly describes what MS (multiple sclerosis) is. Thank you for that. It helps one to fully understand, and appreciate, what he and others are going through. Facing uncertainty about his health, working on a talk show, and putting together a movie at the time, seemed like the impossible but once he'd accepted this disease and sought treatment, he could go on. And did he ever! This is one tough customer and in this, his second book, he lets us know what he has personally gone through. With one of the tabloids about to expose his having MS, and he wanting to keep it quiet, he bravely came out publicly ahead of the tabloid. I found his account of living with the pain of MS incredible and I have a newfound respect for anyone suffering with this painful disease. I applaud Mr. Williams' efforts on behalf of MS and he makes an interesting and believable case for medicinal marijuana. He is a former naval intelligence officer, an author, a talk show host, and a motivational speaker among other things. I think the questions to the seven doctors, and their answers, was an insightful thing to do and I enjoyed seeing their different points of view. I also hope his pleas to the President don't fall on deaf ears. He makes a good argument on behalf of all MS patients. Just because he looks so good, doesn't mean there isn't something going on, and I found this a good lesson on "Don't judge a book by its cover". So glad the suicide attempts were futile Mr. Williams! 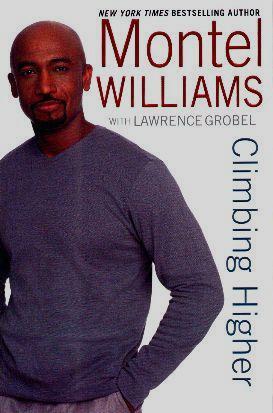 Visit Montel Williams' website for more information. Conclusion - Very moving and informative and well worth reading.